We remain dedicated to the enduring values of integrity, high ethical standards and treating people fairly and with respect. Goal : To build our group profitably with a near-team target of doubling the market value of AMCO Group thus enabling us to face the challenges of next century. To achieve our goal, we have a determined focus on growth. Growth will be based on our Groups core strengths-our longstanding expertise in the wire field and our record innovation in both upstream and downstream products. Our business shall be competitive and shall grow by leaps and bounds as a result of the superior advantage they derive from our conglomerate highly capable people, technology, global market power, strong brands franchises and business practices. 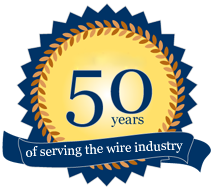 In wire Drawing field, we shall be numerouno in our national business so that we can consistently add and capture value in the fast-changing, competitively intense wire industry. We shall extend into developing countries with strong potential for significant new business, while continuing to grow in the Indian markets where we already have a major base. We shall capitalize on our strengths in cold working of materials and engineering to refuse new technology and renew existing product lines, thus tapping global Opportunities for new business. Additionally, we will maximize the value of our offerings through creative business approaches. In machinery and specialties, we shall pursue alliances, joint ventures and acquisitions that offer significant potential for growth, profitability and strengthened competitive position. We shall leverage our strengths across our business around the globe, so that we shall be the best at understanding and delivering what our customers truly value and cherish.